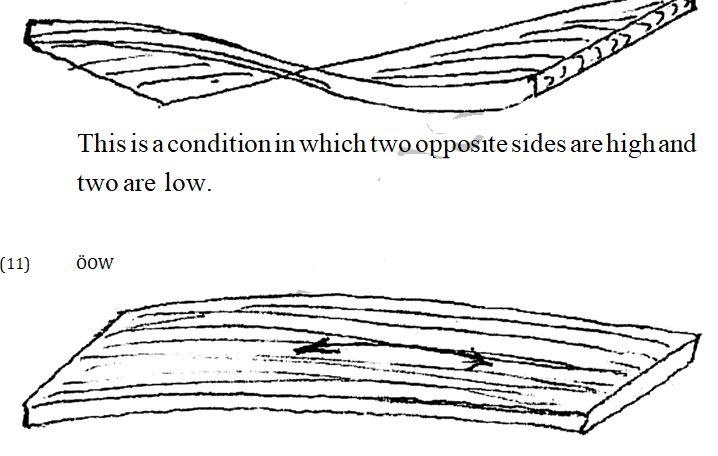 7	Figure 1 shows the blade of a Jack plane fitted in two different ways. 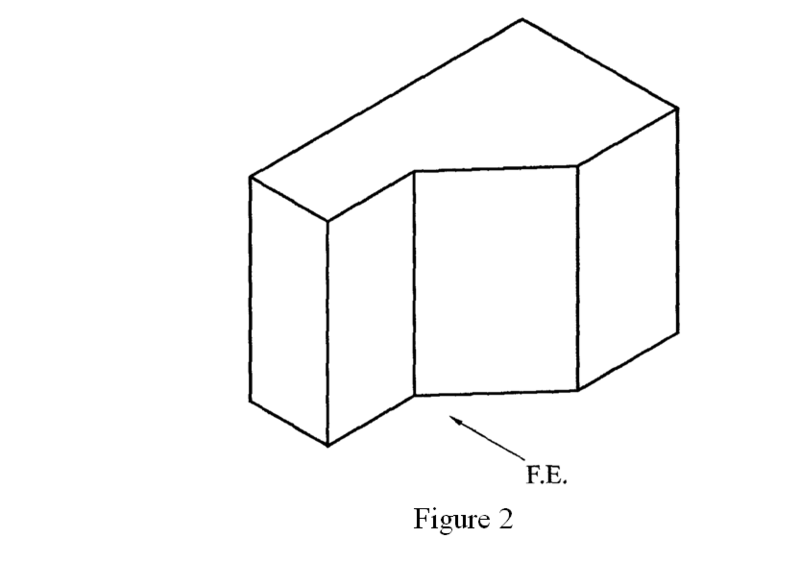 10	Figure 2 shows a shaped block drawn in isometric projection. Answer question 11 on the A3 pal er and any other three questions from this section in the spaces provided. 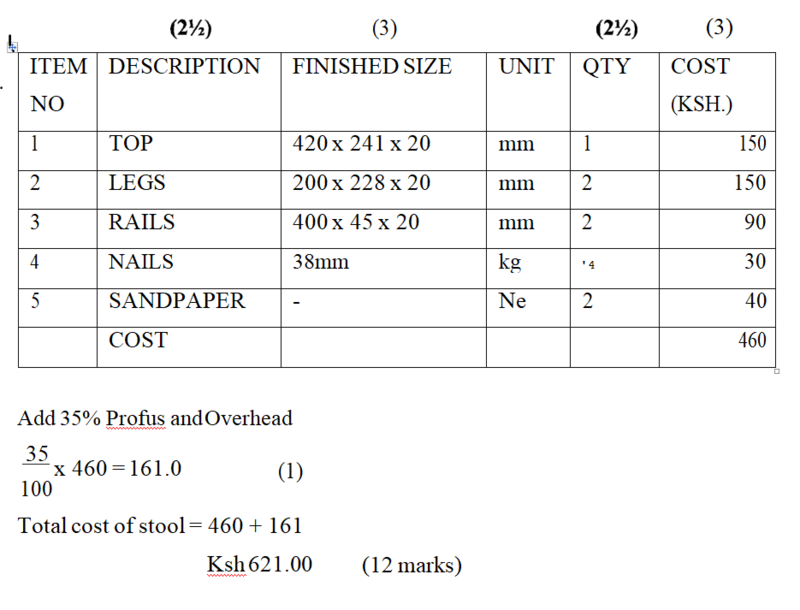 Candidates are advised not to spend more than 25 minutes on question 11. 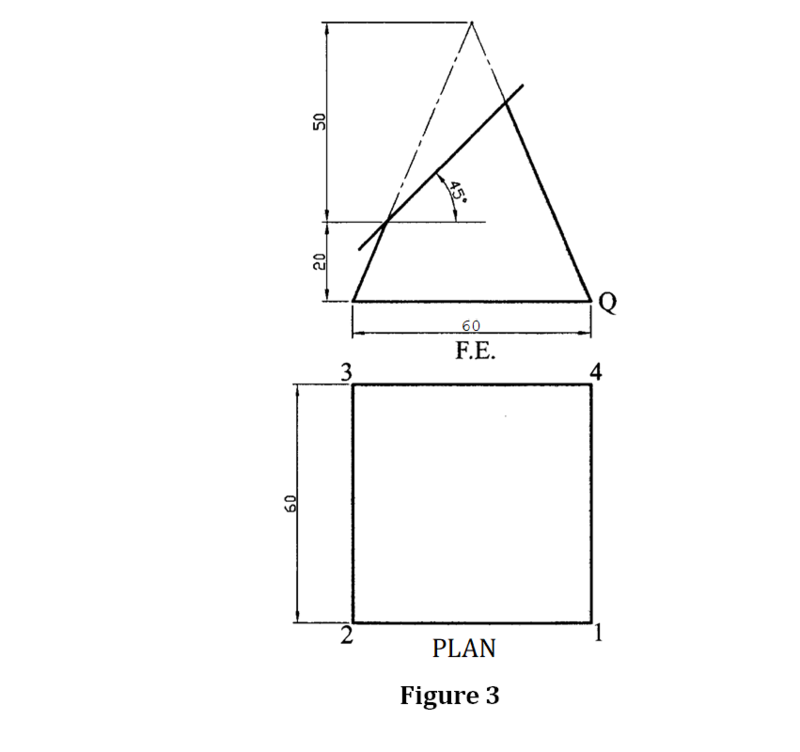 11	Figure 3 shows two views of a truncated square pyramid drawn in first angle projection. (b)	True shape of the cut face. 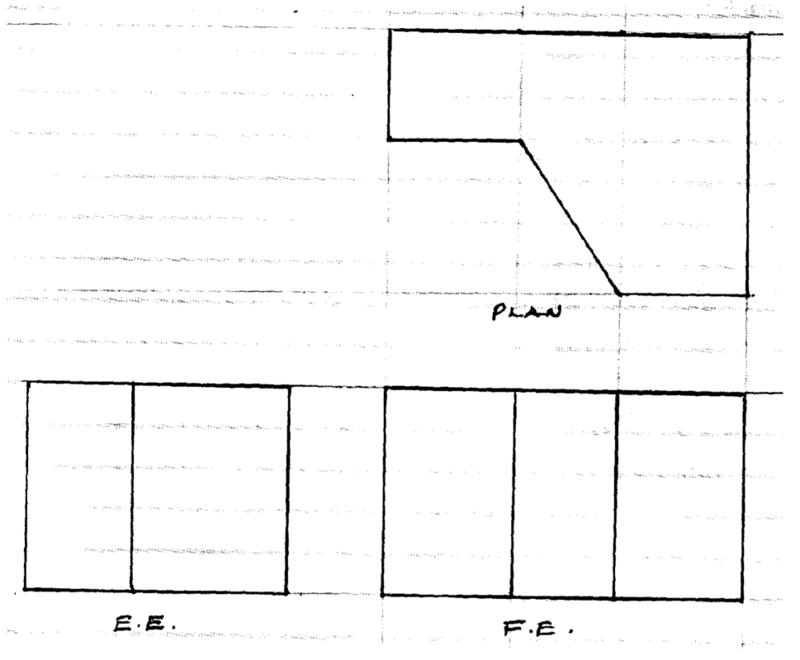 (c)	Development of the pyramid when opened along P-Q. 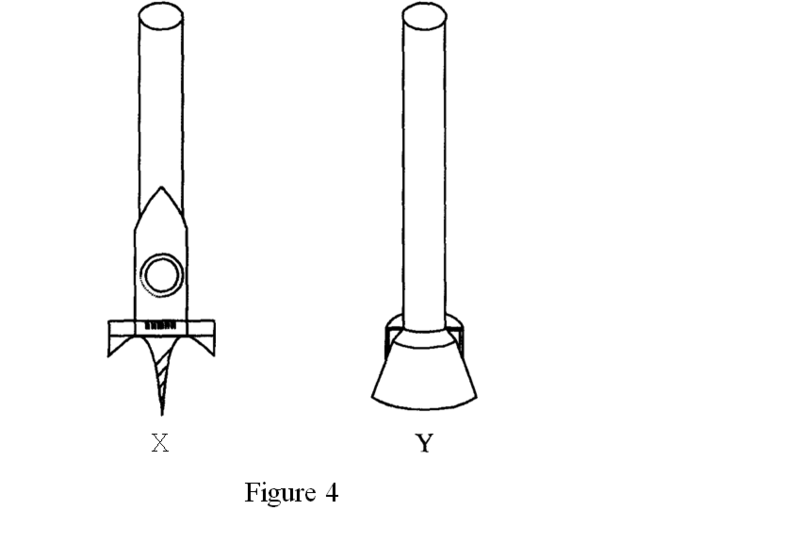 (c)	Figure 5 shows a part of a bridle mitre joint. 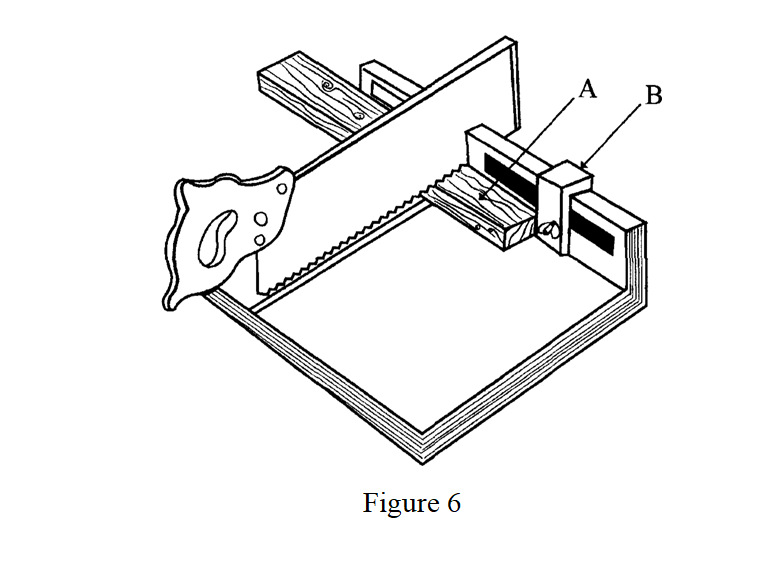 (b)	Figure 6 shows a device used in a wood workshop. (ii)	Name the parts labelled A and B. (iii)	State the function of the device. (iv)	State two safety precautions to observe when using the device. (c)	State six safety precautions to observe when using a surface planer. 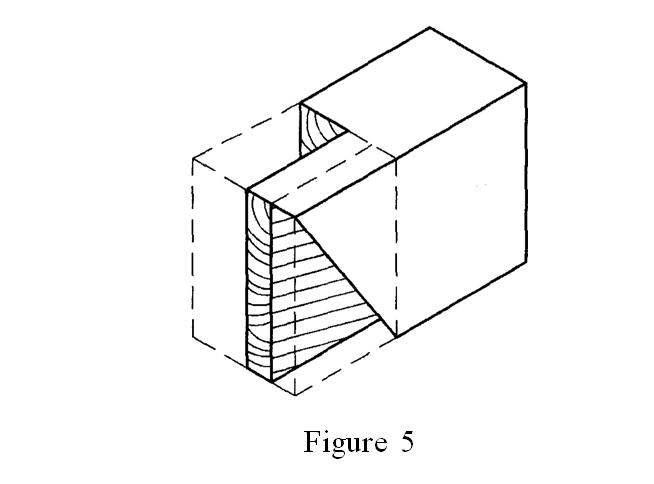 15	(a)	Using pictorial sketches, show the difference between square and secret haunch tenon. 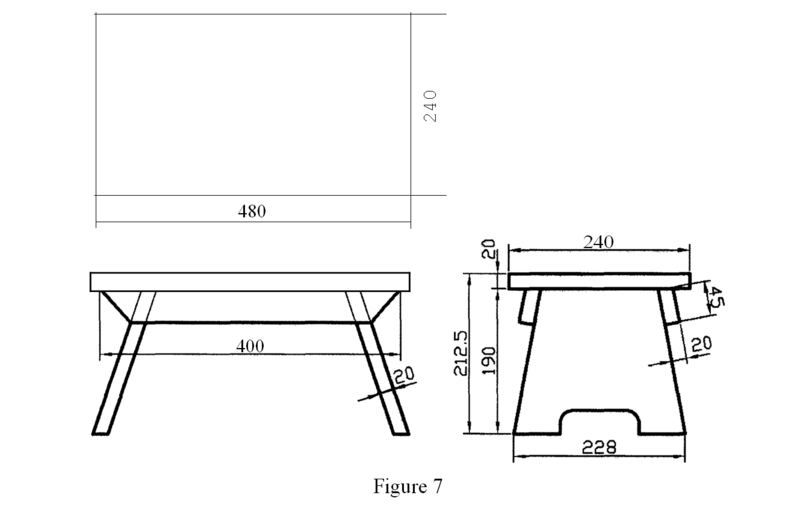 (b)	Figure 7 shows three views of a kitchen stool. Allow 35% profit and overheads. (i)	Prepare a cutting list for the materials required. 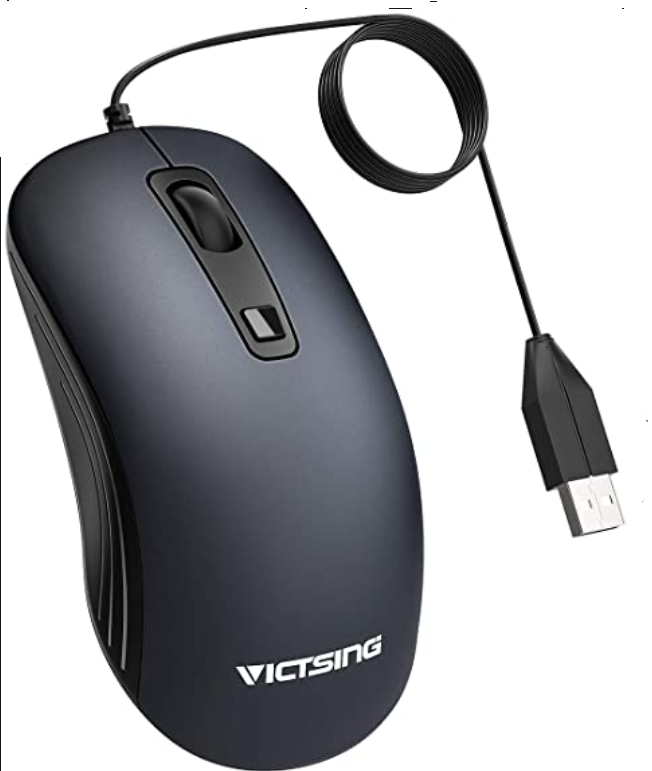 Penetrates the wood deeply — fade resistant. Not necessary to seal water stains. Takes away type of finish. It easy to mix thus come up with a certain colour. Difficult to apply with a brush. Decay caused by fungi near the heart of the living tree, it includes the pith and some of the true wood. Occurs when a branch or a limb is cut through during the growth of the tree. Do not use switch box when hand drilling. Make sure the job is secure and over a block. Make sure the drill bit and chuck is securely tightened. Allow the motor to attain full speed before commencing drilling. Back the drill bit out of the hole frequently to remove chips. Always drill away from the body. Place the square against and edge known to be straight and mark a line. Then turn the square over. Any inaccuracy will show as a divergence of the line and the blade. Toenailing is a method of driving nails, used when the end of the board meets the face of another board. It is advisable to always stagger the nails and angle to avoid nails hitting one another. 7. The cap iron is fitted close to the cutting edge and the cutting iron is fitted with the beveled edge against the stock. This correct positioning of the cutting iron allows the shaving to immediately bend and break resulting in clean cuts. The cap iron is fitted on the beveled side of the cutting iron. The shavings elongate and rip out of the surface of the board as opposed to being bent and broken resulting in rough cuts. Lack of appropriate legal certificates. b	Patterns of matching veneers. (a)	Boring from one side until the screw appears and then reversing the auger bit. (b)	Using a piece of scrap stock to bore directly through the work. 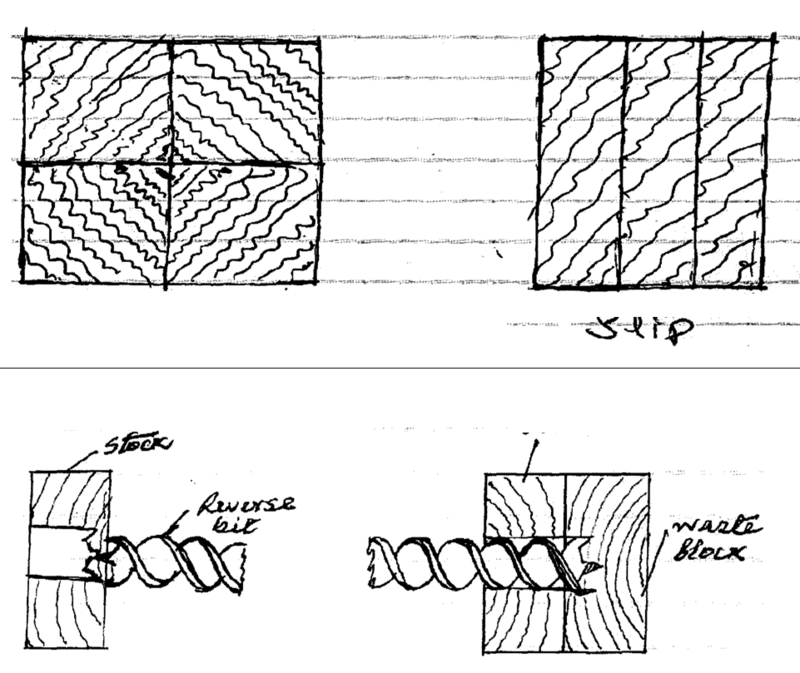 A method of laying veneers when a veneer hammer is used to press the veneers into close contact with the core and squeeze out excess glue and air bubbles. The veneers are pressed into close contact with the glued core by means of cauls with bearers and cramps or mechanical press. Mark the required true end. Firmly squeeze the stock against the chosen tail with one hand about 1mm projecting over the bed. Lie the bench plane flat on its side pressed against the base. Thrust the plane forward along the stock to cut off the 1mm. Finish the end to the marked line. This is a distortion along the length of the board, leaving one face with grain concave and the other face convex. Drills an accurate flat bottomed hole I. Mount the oil stone in a holder to keep it stationary. Place the beveled portion of the cutting edge flat on a medium oilstone. Move the blade in a figure eight or long oval pattern. Remove the wire edge placing the blade flat against the oilstone and moving in a circular motion. Use a fine oilstone to further hone the edge. Test the blade for sharpness by making a slicing cut on a scrap board. 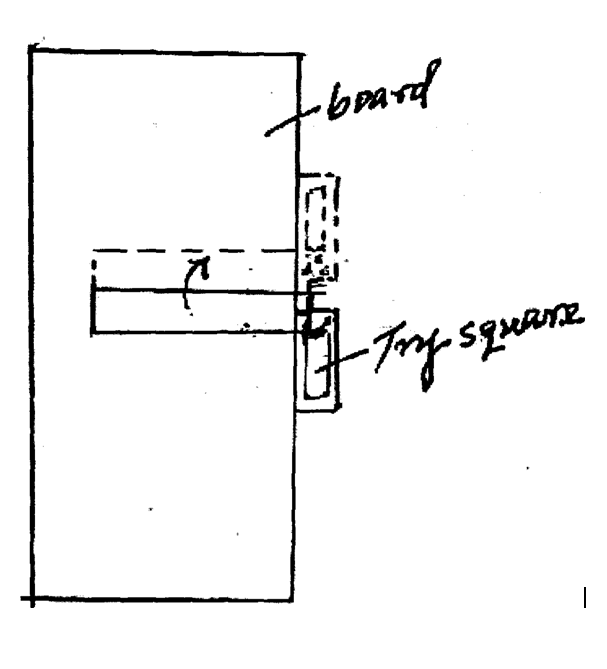 1	— Measure and mark the length of tennon using a pencil and try square. 2	— Divide the width of the piece into 3 equal parts and draw the lines to the length mark. 3	— Mark one face of the tennon using a try square. 4	— Turn to the other face and mark the mitre with the bevel square. 5	— Cut the face marked square and remove the waste. 6	— Cut the mitre and remove the waste. These are government owned organizations which provide services to the public. The National Police Service e.t.c. These are organizations that are privately owned and not part of government. (iii)	Used when cutting many pieces of equal length. (i)	Ensure that the device is held firmly on the working bench. (ii)	Ensure that cutting is along the slot. (iii)	Hold the stock firmly to avoid vibration. (c)	Safety precaution to be observed while using a surface planes. Ensure no loose parts before you switch on the machine. Remove all loose knots from the stock before surfacing. Do not surface a stock less than 300mm long. Never stand directly behind a board being surfaced. (stock could kick back). Make sure one face is flat before you surface a board. Do not adjust the tables when the machine is on. Always use a push block. Feed the stock along the grain.